The search for the elusive phantom planet continues. In 2016, one decade after Pluto was downgraded to the status of dwarf planet, Caltech researchers proposed the existence of a new Planet Nine. 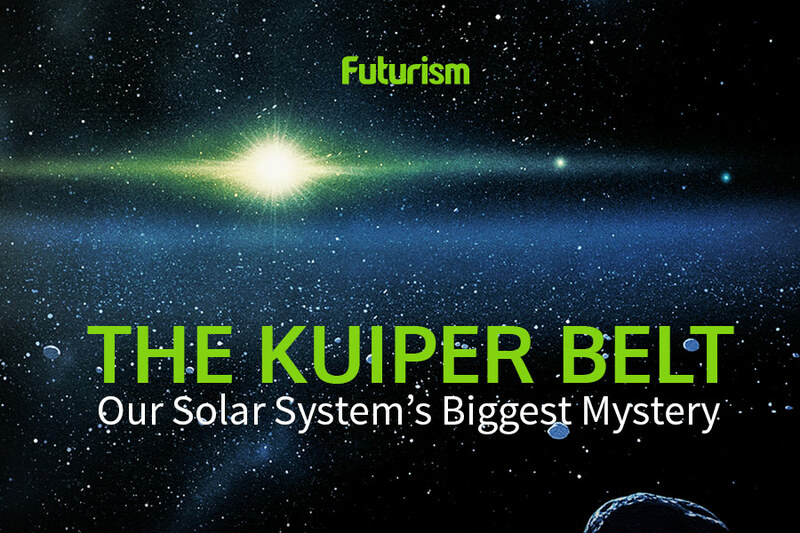 Their conclusion was based largely on the distribution of objects in the space known as the Kuiper Belt, and not long after their data was released, it was challenged for possible observational bias. Now, two astronomers from the Complutense University of Madrid have used a new technique that’s less susceptible to this observational bias to analyze the space where Planet Nine could be lurking. The new study is published in the Monthly Notices of the Royal Astronomical Society (MNRAS). Each celestial object has two nodes, points where the object’s orbit crosses the solar system’s plane. These are the points where a possible interaction with another celestial object — like a Planet Nine — is likely to occur. For their study, the researchers measured the distance between the nodes of the 28 known extreme trans-Neptunian objects (ETNOs) and the Sun. They noticed that the nodes of the ETNOs’ were clustered at a particular range of distances from the Sun, and they also found a correlation where there shouldn’t be one between the nodes’ positions and inclinations. Of course, there’s still no certainty yet whether the cause of these perturbations is indeed a planet. To be really sure that Planet Nine — and maybe even Planet Ten — exists, we might have to wait for data from the James Webb Space Telescope, set to launch in October 2018. If we do uncover additional planets in our solar system, they’ll do more than simply force us to update our science texts. Such a discovery could help us solve a decades-old questions about our corner of the universe — why the Sun has an unusual tilt — and it would also force us to rethink our simulations about the future of our solar system and how it might meet its ultimate end. For now, however, all we can do is wait to see if the elusive Planet Nine actually exists. Future observations similar to those conducted by the team at the Complutense University of Madrid will ensure that we avoid any observational bias as the hunt continues.